Get ready for that spring wedding on your calendar with the perfect plus-size outfit for the occasion. Before frantically shopping for the perfect look, make sure you’ve read the dress code on the invitation and done your homework on the venue. Will you be standing indoors on hardwood floors or walking across grass outdoors? Be sure to decode the dress code to understand the difference between outdoor formal and black tie before you start putting together your outfit and picking out the perfect footwear. Save yourself from getting bits of bark between your toes or sinking into the sand or grass by doing a quick online search of the venue to determine the right shoes to protect both your feet and the ground beneath you. If you aren’t sure just how religious or traditional the ceremony is, it’s best to reach out to the bride or someone in the wedding party to make sure your outfit is appropriate so as not to offend the custom or traditions of the bride or groom’s family. The best advice is the oldest advice: don’t wear white. Unless you’ve been explicitly told to wear white, it’s best to avoid it so as to not steal the spotlight from the beautiful bride. Let your Dia Stylist know that you’re looking for the perfect outfit for a spring wedding so you can get some gorgeous options in your next box—and check out some of our favorite items for weddings this spring. 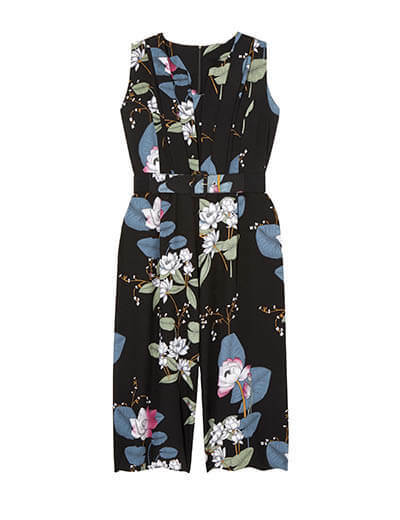 A jumpsuit is an unexpected ensemble that is still completely appropriate to wear to a formal event like a wedding. 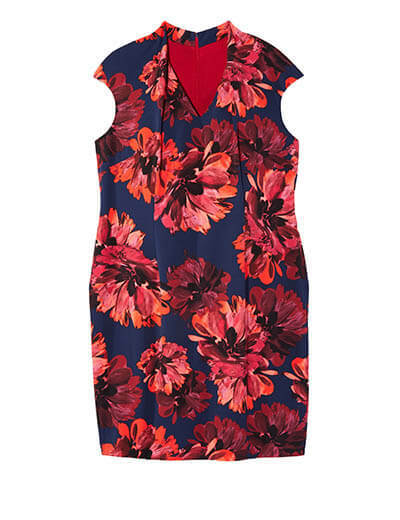 Opt for one with florals to play up the seasonality. 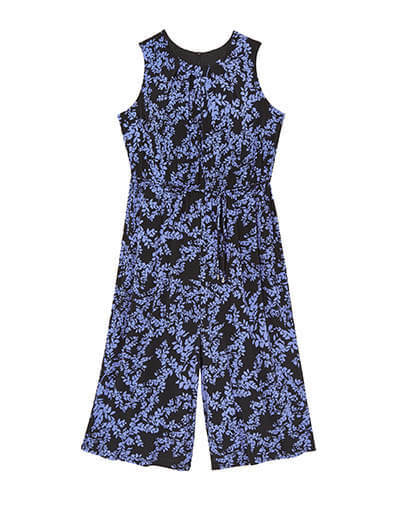 Printed dresses and jumpsuits with a darker ground are perfect for evening receptions. The best part about wearing a jumpsuit is letting yourself get loose on the dance floor without having to panic about a wardrobe malfunction. Dresses with cap sleeves are a great option because they don’t require a special bra, but still let you be comfortable if you’re attending an outdoor ceremony under the sun. Headed to a beach or lake wedding? 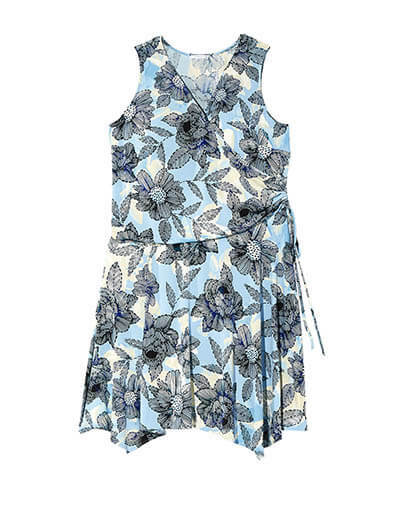 Opt for a dress in beautiful blues to give a nod to the surroundings. 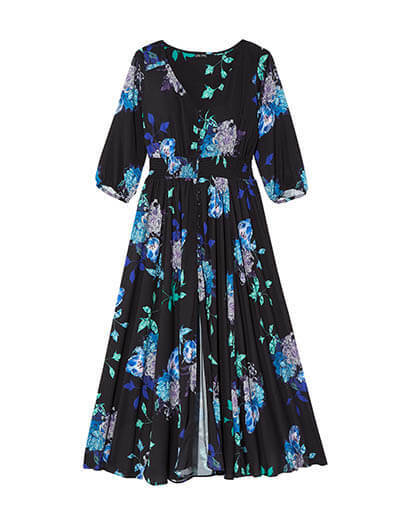 This blue and white floral faux-wrap dress will celebrate your curves while the skirt will make your dance floor twirls come to life. 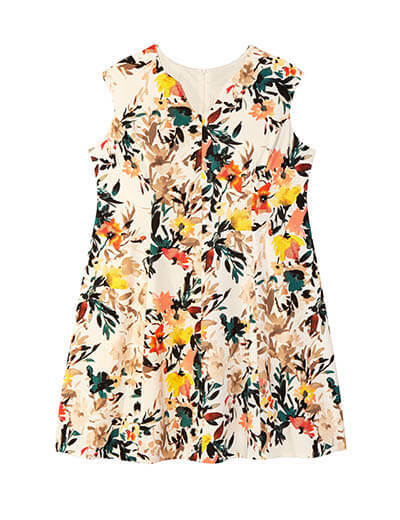 Bright florals are the perfect way to celebrate the season and the warm weather to come. 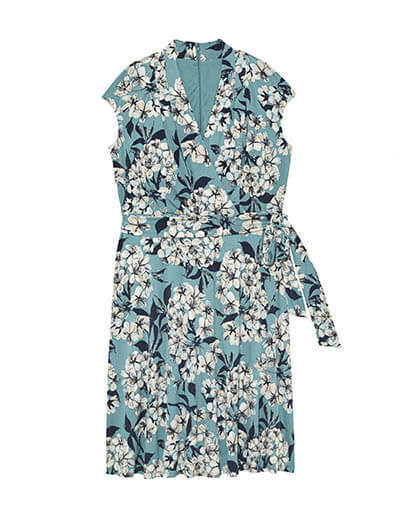 A fit-and-flair dress makes for a gorgeous feminine silhouette. Headed to an evening reception? Opt for a black dress with a hint of print in a flowy maxi silhouette for a romantic feel. 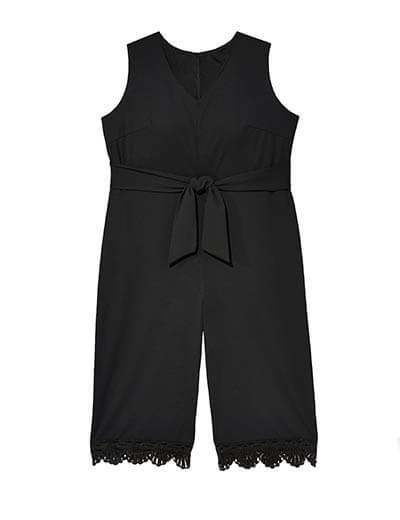 A chic black jumpsuit can work for a wedding just as well as it can for the office. The crocheted scallop trip gives this classic silhouette a girly touch. If you’re headed to a spring wedding in Southern California or Florida and have a feeling that the sun’s beams will make it feel more like summer, be sure to check out our style guide for summer weddings. No matter what, make sure to take the time to make yourself feel beautiful and showcase your personality. Bring your look to life with playful makeup, hair, and accessories. Then, snap tons of photos for safekeeping. Be sure to share on social and tag with #mydiastyle so we can see how fantastic you look!